Starting next year, drug testing may be one of the requirements for all incoming college students. This is because the Commission on Higher Education (CHED) is continuously pushing for the said policy for "Drug-Free Campuses"
CHED cited that in Oplan Tokhang of the PNP, 46,000 drug surrenderees are minors and of course, in this number, some are students. According to CHED Director Ronaldo Liveta, they have set-up some mechanism and consultation or public hearing. After crafting the policy, CHED will seek the legal opinion of the Department of Justice. 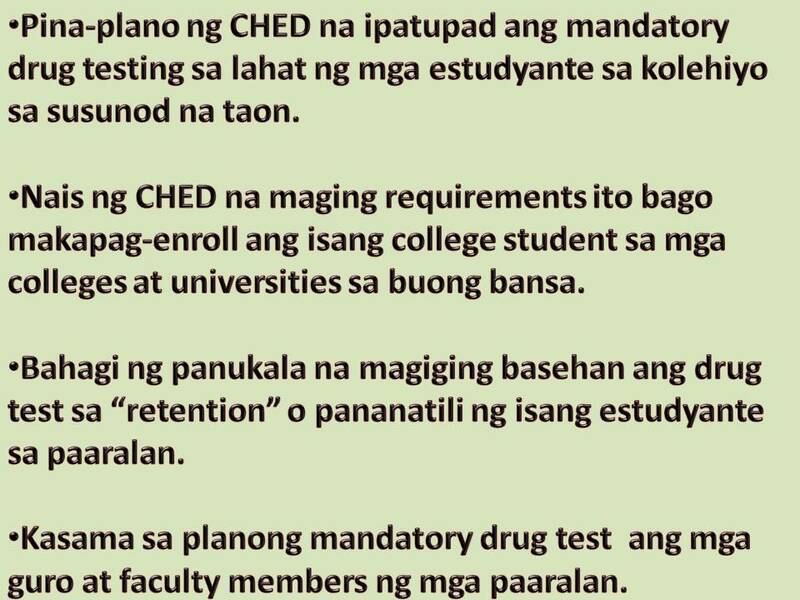 Under the policy, CHED is not just pushing for random drug testing but also making drug testing as an admission or retention in college. The commission has cited that there are some schools that already implementing the program, even in government and the private sector. On the other hand, two lawmakers give their reservation on CHED's plan to implement drug test. 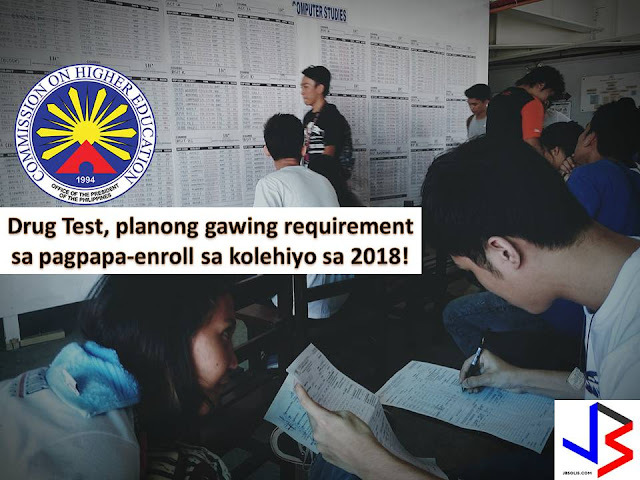 Kabataan Representative Sarah Elago said, there are schools that are already practicing the method, but it comes with a fee. She said, added fees for drug test should not be paid by students. While ACT Teachers Representative Antonio Tinio also warned CHED that drug testing may block student's access to their right to education if they are found to be positive in using drugs and cannot be accepted to schools. 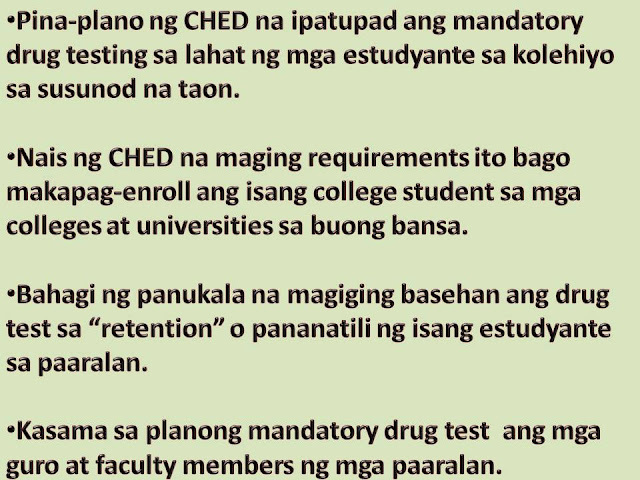 Under CHED's plan, the mandatory drug test will not be a limit to students but also to all schools faculty's and teachers.